« Browns Considering Receiver Mike Furrey as a Safety? Dino Lucarelli, a fixture in the Cleveland Browns’ organization for the past 35 years, announced his retirement from the club today. Most recently the team’s Director of Alumni Relations, Lucarelli will remain as a consultant. Lucarelli began his affiliation with the Browns in 1975, and since that time he has served in a myriad of capacities including player relations, community relations, public relations and alumni relations. Prior to joining the Browns, Lucarelli also worked for the Cleveland Indians (1967-75) and Cleveland Barons (1962-67). In 2002, when the club finished construction of the media room at their Berea training facility, it was named the “Dino Lucarelli Media Center.” In addition, the Browns’ “Good Guy” Award, which is given to a player each year for his cooperation with the media, bears Lucarelli’s name. 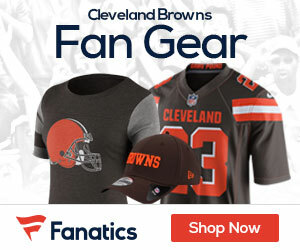 The Browns plan to recognize Lucarelli at the team’s regular season opener on September 13 against the Minnesota Vikings at Cleveland Browns Stadium. Best wishes Dino. You are truly one of the most loyal and under-recognized members of the Browns organization. We know one thing for sure – Mangini will not be winning the “Good Guy” award any time soon!